Heartfelt condolence! 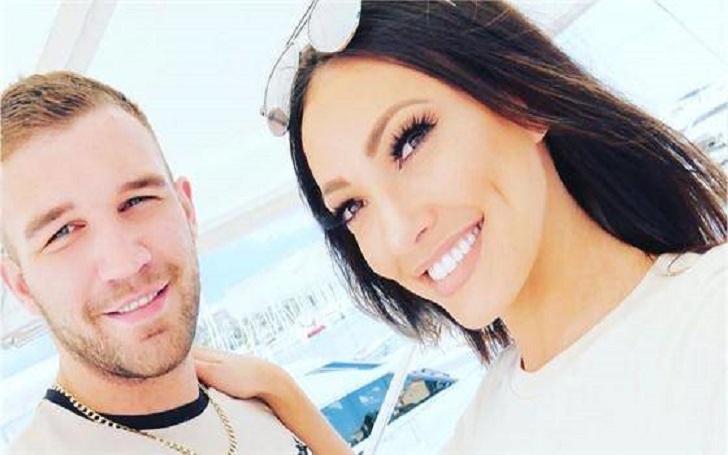 It's only been three weeks that Sophie Gradon died and how, the late Love Island star's boyfriend, Aaron Armstrong, has passed away at the age of 32, multiple sources have confirmed. According to a Northumbria Police spokesperson, authorities received a report from the ambulance service that a man of age 25 had been found dead at a property on Furnace Road in Bebside, Blyth. Police shared, "There is not believed to be any third party involvement and a report will now be prepared for the coroner". Soon after Aaron's death news broke, some cast members reacted to the sad news and paid tribute to him via social media. Katie Salmon, who previously starred on the British reality show, wrote on Twitter, "Aaron. I hope you have reunited with your love sophie. And I truly hope you fly high together. Thinking of his family and friends." Aaron. I hope you have reunited with your love sophie. And I truly hope you fly high together. Thinking of his family and friends ?? Another star Rykard Jenkins tweeted, "So sad to now hear about Aaron's passing. May you both rest in paradise." Aaron's cause of death is yet to be revealed, but some people have been speculating that it's a suicide. As previously reported, Sophie was found dead at a house near her hometown of Newcastle on Wednesday, June 20 and she was 32-year-old at the time of passing.